Really impossible to fault. 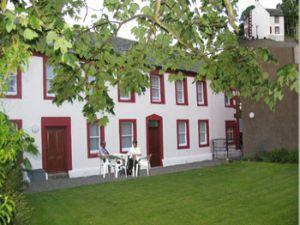 Beautifully converted accommodation, warm and dry (which in late September is what's needed!). Brenda was welcoming, helpful, and kind. That said, the accommodation was immaculately prepared for us, and so good that we didn't need to trouble her further. Everything worked well, no problems there. And it was mousey-quiet at night too. Highly recommended.